CardMonkey's Paper Jungle: Guest Designer: "So Many Crafts"
It's my pleasure today to be a guest designer for Lissa Marie at "So Many Crafts, So Little Time." Lissa Marie provided this digital image for me to color and show you some different techniques. 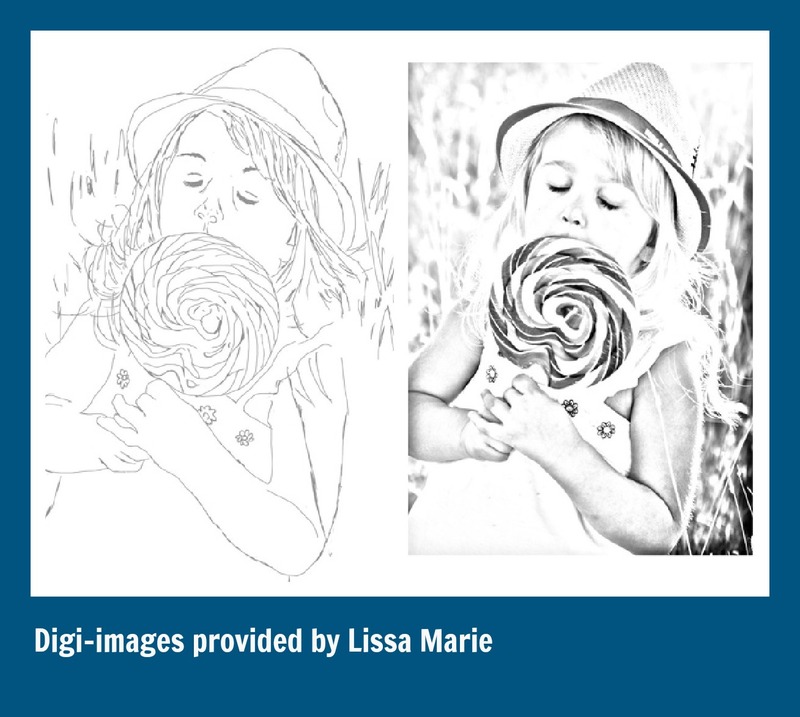 The image Lissa Marie derived from a photo she had taken of her daughter. 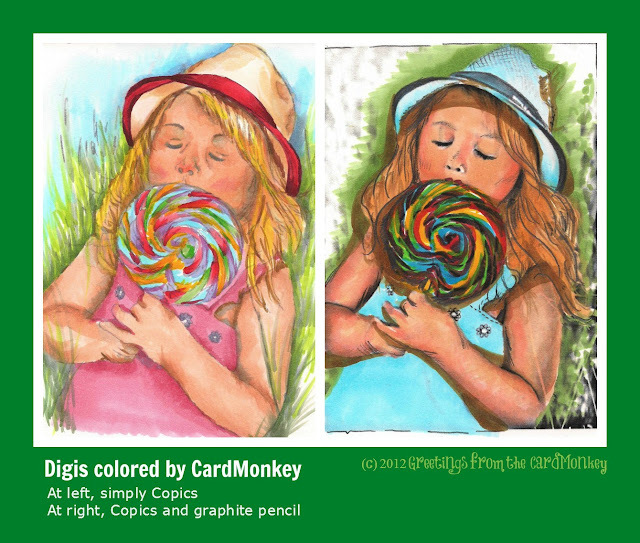 With the example on the right, I intentionally used softer, muted colors and tried to blend some of the harsher lines. At right, I went bolder -- and used heavy dark shadows (for example, look under the hat brim). I then accented the marker with some graphite drawing pencil. Which do you like better? Try your hand at alcohol markers like Copics! Great Job Ellen, you have some comments on my wall so far and one on my blog and I just posted it tonight! Beautiful job Ellen, i love both of them! Very nice job. I favor the image on the right. I realize that some of the reasons I like it better is are the the types of images she gave you. But your coloring on the right seems to be more lifelike. Her nose was what caught my eyes first. Then when you pointed out about the shadow from the brim of the hat I was really impressed.